The Supreme Court has dismissed the PIL filed by advocate and activist Prashant Bhushan, seeking registration of FIR against Justice C.K. Prasad (former Judge of Supreme Court and presently Chairperson of Press Council) alleging abuse of office and criminal misconduct. He has also sought his removal as the Chairperson of Press Council of India. 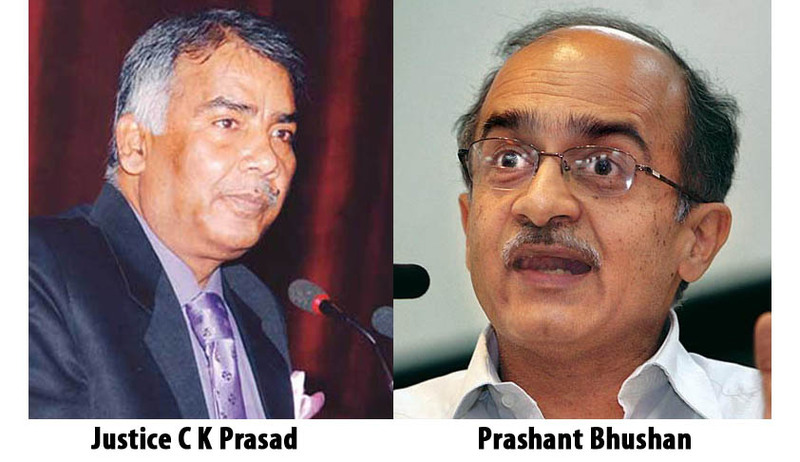 Mr. Bhushan had earlier made complaints to the CBI and the CVC against the alleged abuse of office and misconduct. He alleges that the non-registration of FIR is in violation of the Constitutional Bench judgment of the Supreme Court in Lalita Kumari’s case, which had established that registration of FIR/RC is mandatory once information regarding commission of cognizable offence is received by the law enforcement agency. The Writ Petition reiterates the allegations which Mr. Bhushan had earlier levied against Justice Prasad in his letter to the CVC and the CBI. He alleges that Justice Prasad had abused his position as a Judge, by tagging two unrelated cases and passing an order in favor of one of the parties. Read a detailed account of the allegations here. You may access LiveLaw’s coverage of the entire issue here.